Upgrade ramps to current Caltrans geometric and seismic standards to the extent physically and economically feasible. 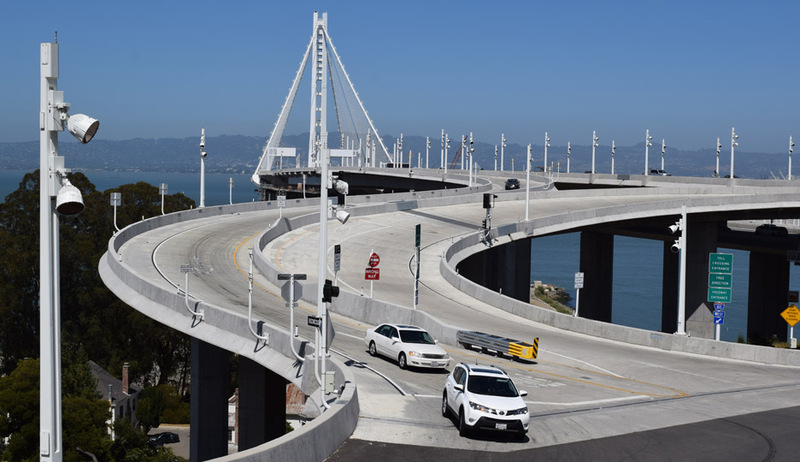 Improve traffic operations to and from the San Francisco-Oakland Bay Bridge and improve driver safety and comfort. Increase deceleration and acceleration lengths (which currently do not meet Caltrans standards) for westbound on- and off-ramps. Connect the new westbound ramps to the San Francisco-Oakland Bay Bridge Transition Structure. CHS Consulting Group was responsible for traffic operations analysis for the Project Study Report (PSR) and Environmental Impact Report (EIR). CHS prepared a traffic forecast report and a traffic operations report. For the traffic forecast report, CHS developed future-year (2030) traffic volumes for the Bay Bridge and six associated ramps to and from Treasure Island and Yerba Buena Island. For the traffic operations analysis, CHS performed freeway mainline and merge and diverge analysis, and ramp junction levels of service analysis with and without ramp metering. These analyses identified bottlenecks, length of queue for each bottleneck, effects of queue spillback from the ramp intersection onto the freeway mainline, and ramp metering conditions for the future scenario. CHS subsequently assisted SFCTA with the Treasure Island Mobility Management Plan, focusing on the definition and implementation strategies for proposed congestion pricing on Treasure Island.